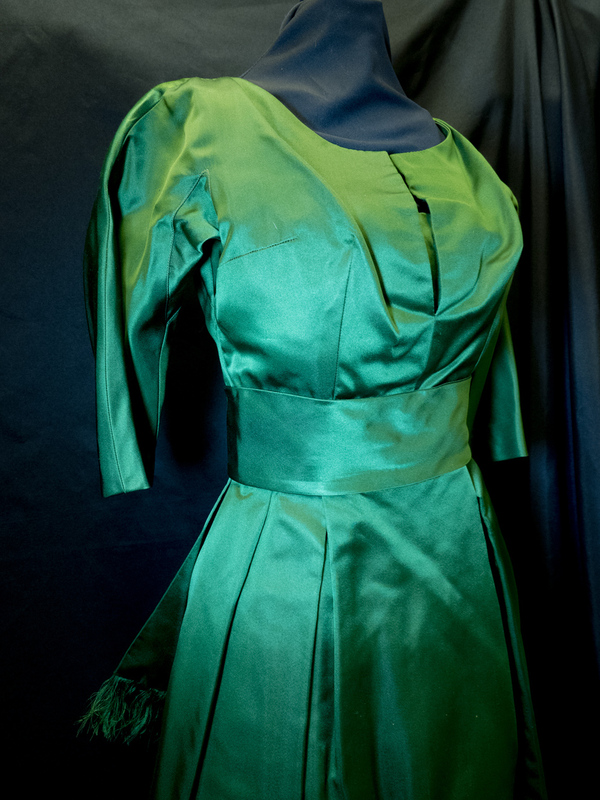 Pictures of the dresses within the SMOC collection. There is a lot of pictures to come. There are a lot of beautiful clothes within the collection. Thanks to our volunteers for cataloguing the collection. Thanks to our members, donations and donators for making our collection grow. Dinner dress circa 1863. Silk taffeta aniline. Blue trimmed with black laces and black velvet ribbon skirt. Original owner of the dress was Charlotte Townsend who came to British Columbia with her sister Louisa Townsend. They came on the bride ship the Tynemouth 1863. Dinner dress circa 1863. Silk taffeta aniline. Blue trimmed with black laces and black velvet ribbon skirt. Brauchbar fabric made in Switzerland for Lore Maria Wiener. Lore Marla Weiner was a Vancouver couturier.